As a car enthusiast this weekend is one you will definitely not want to miss out on. 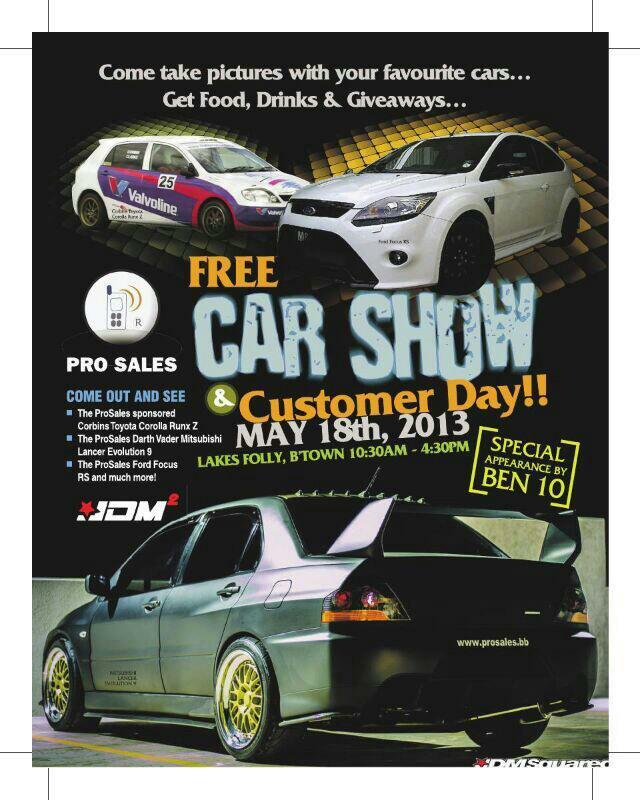 Kicking off on the 18th May Prosales is showing some love to their Customers with a FREE Customer Day Car Show which will be held Lakes Folly. The flyer with information on the event is below. Everything you need to know is on it. The long anticipated Automoto 2013 is finally here!! Like last year it will be held at the Lloyd Erskine Sandiford Center on May 18th but it’s promised to be even bigger with karting being added to the day’s line up of entertainment and the return of the “thrill ride” and dexterity competition. It’s not just a car show, it’s a family day for everyone! Kids can enjoy the many activities such as face painting provided by Chefette and other children’s games and activities, while the parents can view and interact with sponsors from a variety of industries. There will be thousands of dollars in giveaways and promotions from sponsors. I’m sure you guys will really make the effort to come out and have a great time. The flyer with information on the event is below. Everything you need to know is on it and if you still want more information, I’ve provided a link to the Facebook event page as well. Also for those who have never heard of Automoto check out the video below from last year. To all drag racing fans!! 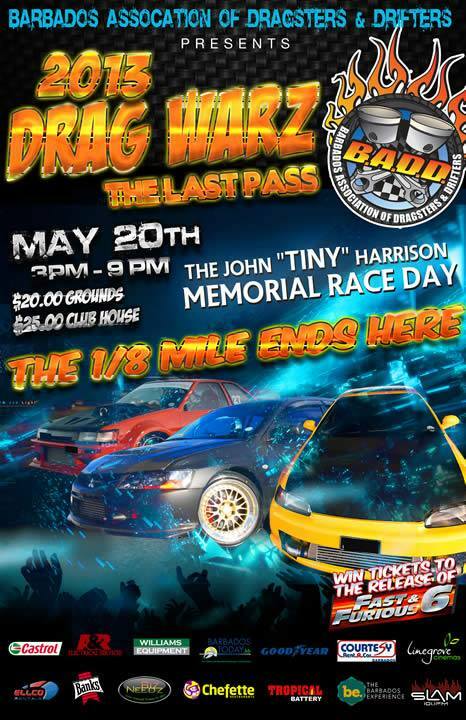 B.A.D.D presents Drag Warz Part 2 The John “TINY” Harrison Memorial Race Day on May 20th at the Bushy Park Racing Circuit. This will be the LAST 1/8 Mile on Bushy Park before the refurbishment of the track. Also, don’t miss the chance to win tickets to see FAST AND FURIOUS 6 which will open on May 29 at Limegrove Cinemas, the official cinema of the BADD. The flyer is below with the information on the event. 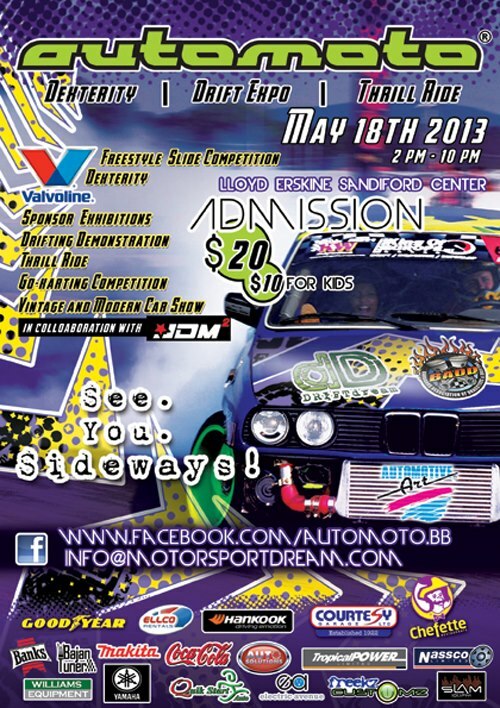 Come out and support you favourite driver!! !